Republicans on the House Select Investigative Panel on Infant Lives will present some of the evidence in a hearing Wednesday morning to examine the accounting and business documents. Several former U.S. prosecutors are expected to testify that companies are violating a federal law banning profit from the exchange of fetal tissue. “This hearing will … reveal one for-profit procurement business and several abortion clinics may have acted in violation of federal law by profiting from the sale of baby body parts, organs and tissues,” Rep. [crscore]Marsha Blackburn[/crscore], the panel chairman, said in a statement Tuesday. Federal law bans profit from fetal tissue, but allows abortion clinics to receive “reasonable” compensation from procurement companies. The documents demonstrate that the technicians from the procurement company do all the work of obtaining the fetuses, so any payment the abortion clinic receives should be considered profit, according to the panel. 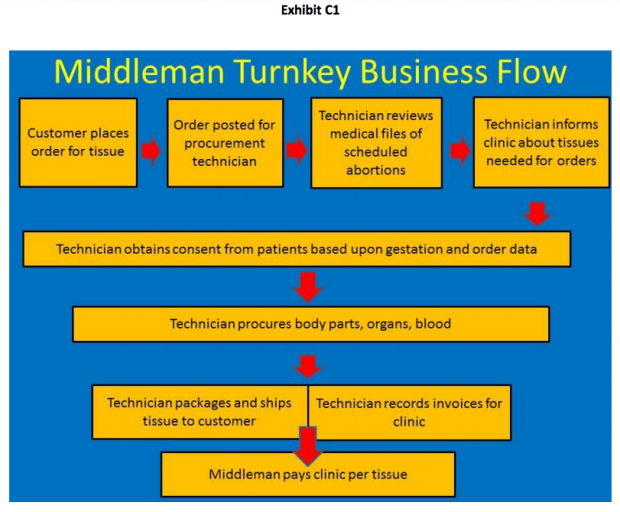 “In fact, it is hard to conceive of the abortion clinics doing anything at all other than being paid per tissue for the work performed by the Procurement Business,” the report states, including a chart showing the tasks performed by the technician. 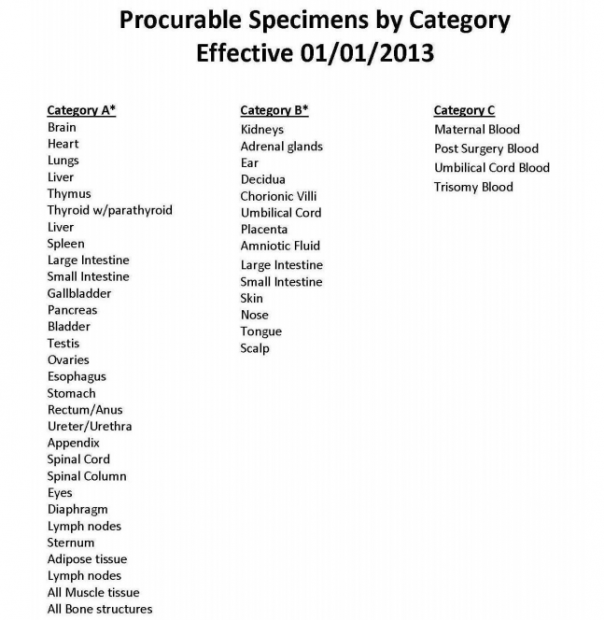 Another exhibit shows a list of options the middleman procurement company shows potential buyers of fetal tissue. The buyer can order kidneys, brain, heart, nose and other types of blood and tissue. 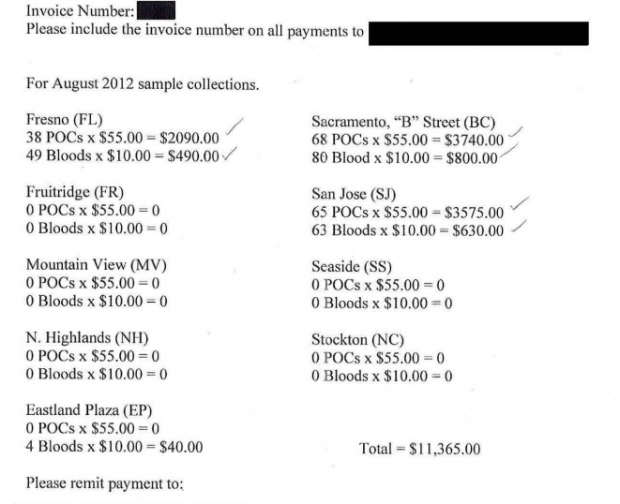 Another exhibit shows payments the procurement company made to the unnamed abortion clinics for various fetal parts, in order to fulfill orders placed by researchers or other buyers for those parts. Planned Parenthood and fetal tissue procurement company StemExpress are not named, but it’s fairly clear they’re the organizations the panel is talking about. Both were featured in a series of undercover videos released last summer by The Center for Medical Progress, which depicted the process and attitude toward fetal harvesting in Planned Parenthood clinics.